The Scripps Institution of Oceanography at UC San Diego opened a key link Tuesday in its growing Coastal Meander Trail overlooking the Pacific Ocean in La Jolla. 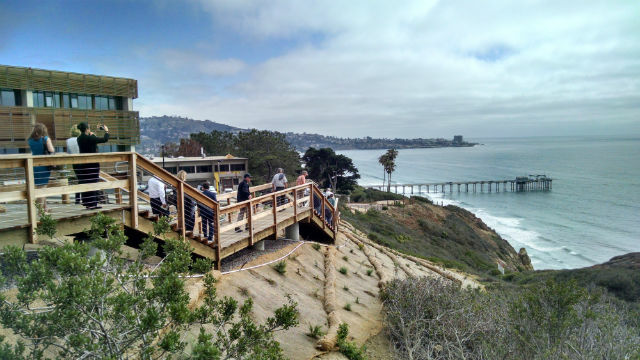 The 380-foot section of stairways and pathways will take hikers from a small parking lot off La Jolla Shores Drive down to a bluff overlooking Scripps Pier. The section is a key link in what will ultimately be a trail of over two miles connected to the California Coastal Trail. 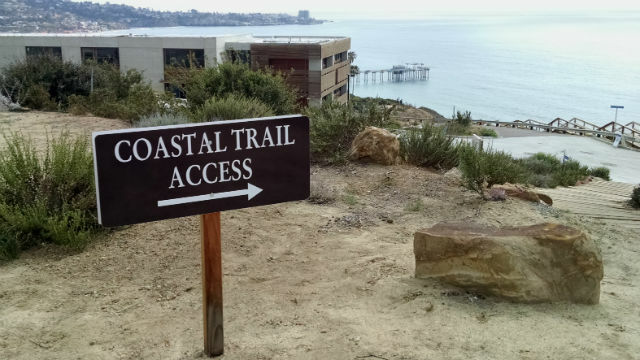 “It is a trail that is probably located at the best sea view within the smartest enclave one can imagine,” said UCSD Chancellor Pradeep Khosla at a brief dedication ceremony. Scripps Director Margaret Leinen said the location is “a source of inspiration and beauty” for the scientists at Scripps. Joan Cardellino of the California Coastal Conservancy said San Diego County is poised to be the first county in the state to complete all segments of the California Coastal Trail.